This volume on comparative politics and government . . . seeks to elaborate and supplement analytical tools and frameworks in which developing countries could be compared. Of major concern is to be able to use this in understanding what have been the problems in the process of development and democratization of developing regions. The articles also seek to provide a basis by which the reader could also critically examine the views presented by the different authors and note their relevance or irrelevance in comprehending similar situations as experiences in developing societies. This will also hopefully inspire alternative conceptual tools and paradigms in examining factors that facilitate as well as hinder the pursuit of development and democracy. The articles selected for this volume . . . seek to assist students and scholars of comparative politics towards these objectives. It will do so by relating these to the general theme of this volume, which is concerned with the issues of (re)democratization and development. This comes in light of the period of democratic transitions in Third World countries, which has fascinated comparativists the world over. As the 1980s ended, most of the studies comparing politics and governments revolved around issues of authoritarian regime collapse, democratic transitions, and redemocratization in postcolonial countries. These events were perceived not only as a chance to build, rebuild, and/or strengthen democracy in these societies, but were also viewed as an opportunity to establish the infrastructures needed for development to occur in the Third World. 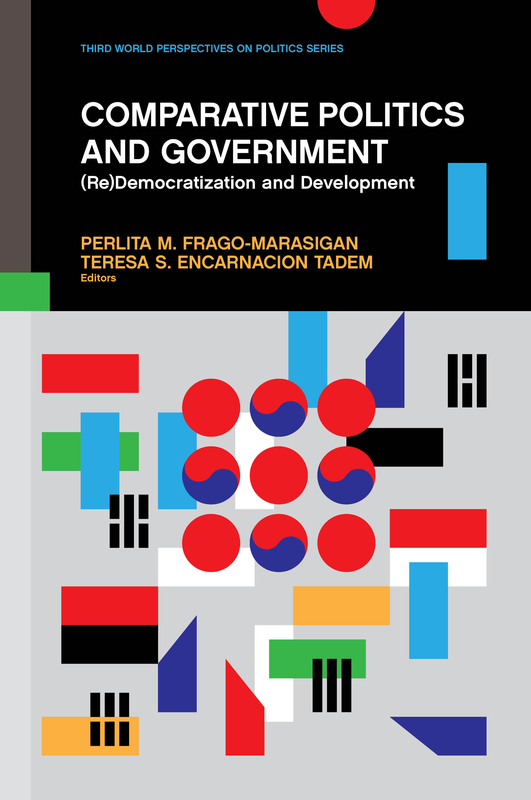 Nine articles were selected in this volume to highlight the range of phenomena and research topics that stem from the democratization and development project that took almost twenty-five years to construct. Not only do these chapters represent the series of events that transpired over the years, but they also reflect relevant themes that usually surface in the study of comparative politics and government. The countries selected for the different cases studied are not only representative but may also be considered as critical cases. These articles show how comparing countries, together with their politics and governments, may be done in various systematic ways. Teresa S. Encarnacion Tadem is professor of political science at the University of the Philippines Diliman. She previously served as chair of the Department of Political Science and director of the Third World Studies Center. She previously served as president of the Philippine Political Science Association from 2011 to 2013. She has a PhD in politics and public administration from the University of Hong Kong. Perlita M. Frago-Marasigan is assistant professor of political science at the University of the Philippines Diliman and deputy director of the UP Third World Studies Center.